Lauren Little has extensive experience acting for clients across a wide variety of matters and provides in-depth and practical advice on numerous issues, including finance management, contracts and procurement. She also has extensive experience in negotiating commercial contracts on behalf of clients for a variety of goods, supplies and services. Leading on procurement issues, Lauren has experience in the interpretation of the procurement regulations as they relate to the specific contract requirements within the Registered Social Landlord (RSL) sector. She advises clients throughout the procurement process, from preparing and publishing the contract notice, through drafting the requisite tender and contract documentation, to assessing tenders and finally appointing the successful party. Lauren also advises clients in relation to challenges under the procurement regulations; dealing with contractors and consultants who have been unsuccessful in a tender exercise, and the relevant statutory remedies. She has spoken at various seminars on public procurement law and has provided in-house training to clients. Lauren has acted for clients in drafting and negotiating the terms of finance documentation, including loan facility agreements and ancillary documentation. Through her experience, she has gained considerable knowledge of lenders’ standard documentation and approach to the market. 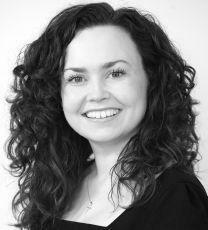 Lauren has negotiated the terms of borrowing with solicitors acting for all of the major lenders and has an up-to-date understanding of their approach to the terms of loan facility agreements in the current market. She drafts and negotiates the terms of construction documentation including amendments to standard form building contracts and ancillary documentation such as collateral warranties from various consultants and sub-contractors, as well as parent company guarantees and performance bonds. Lauren acts for clients in terms of drafting contract conditions for various services, including repairs and maintenance contracts. In addition, she also negotiates development agreements on behalf of clients for land acquisitions. Lauren advises on securities, sales and acquisitions of properties and acts for clients in relation to commercial leases.